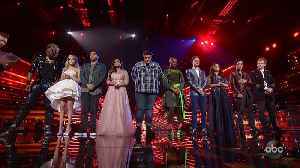 At the end of American Idol's 2019 Disney Night, it was time to find out who America chose to be in the Top Eight! Watch more clips and full episodes of American Idol on ABC.com and in the ABC app. 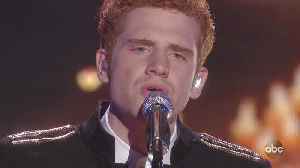 Jeremiah Lloyd Harmon performs 'Candle On The Water' from Disney's 'Pete's Dragon' on American Idol's 2019 Disney Night. 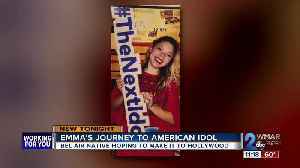 Watch more performances and full episodes of American Idol on ABC.com and in the..
Madison VanDenburg finds all of the notes with her performance of 'How Far I'll Go' from Disney's 'Moana' on American Idol's 2019 Disney Night. 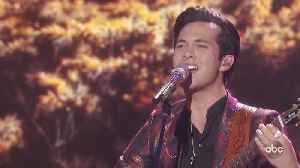 Watch more performances and full episodes of American..
Laine Hardy performs 'Oo-De-Lally' from Disney's 'Robin Hood' on American Idol's 2019 Disney Night. Watch more performances and full episodes of American Idol on ABC.com and in the ABC app. 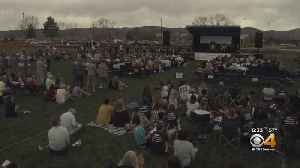 Reigning American Idol Maddie Poppe and 2018 runner-up Caleb Lee Hutchinson take the stage together on American Idol's 2019 Disney Night to perform 'A Whole New World' from Disney's 'Aladdin.' 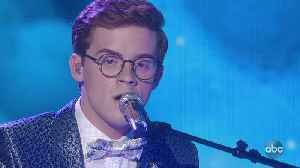 Watch..
Walker Burroughs performs 'When She Loved Me' from Pixar's 'Toy Story 2' on American Idol's 2019 Disney Night. Watch more performances and full episodes of American Idol on ABC.com and in the ABC app. Dimitrius Graham performs 'You'll Be In My Heart' from Disney's 'Tarzan' on American Idol's 2019 Disney Night. Watch more performances and full episodes of American Idol on ABC.com and in the ABC app.